Description: Two complete novels. Light tanning to endpapers and title page/frontis, dusty top edge, otherwise clean unmarked hardcover in brown cloth with gilt title to the spine. Square binding and corners, no dustjacket. NY: Charles Scribner's Sons, 1915. 367 pages, b&w frontis. portrait of Barrie w/tissue goard, 2 other b&w illustration plates. - - Carefully packed and promptly shipped with tracking provided. Description: Clean unmarked hardcover in brown cloth with gilt title to front and spine, spine faded and gilt worn, square binding with front hinge pushed and back hinge split but holding, corners and spine ends rubbed and bumped. No dustjacket. NY: The Devin-Adair Company, 1914. 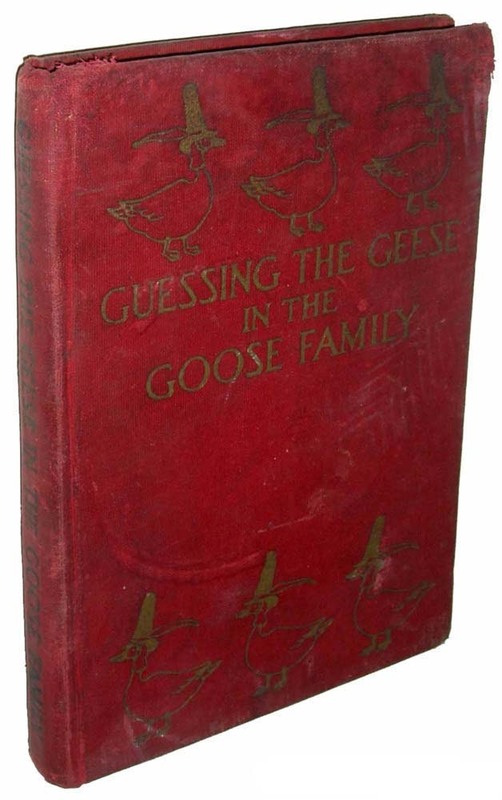 First Edition (unstated) with no printings indicated. 395 pages. Color frontispiece (illustrator not given). 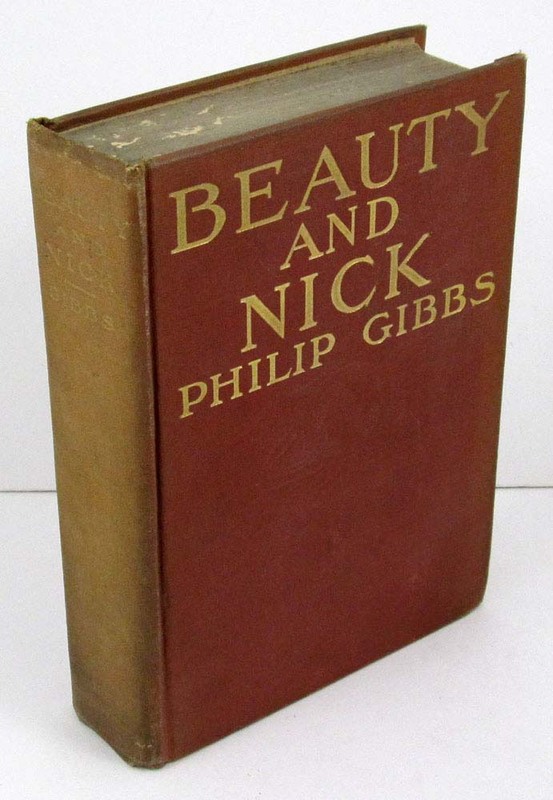 - Sir Philip Gibbs (1877-1962) became well known as a journalist and author during the First World War, publishing several books about that conflict. This book, published in 1914, predates that output. - - Wrapped, boxed and promptly shipped with tracking provided. Description: No marks. Hardcover in green cloth with worn gilt print to spine, square binding with no cracks, corners and spine ends barely rubbed and bumped. No dustjacket. NY and London: Harper & Brothers, (1903). 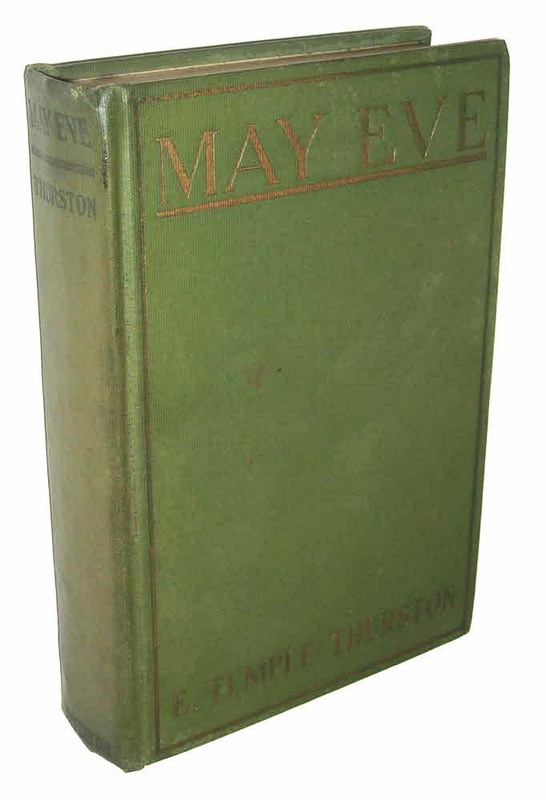 Pine Tree Edition (reprint) of Irving Batcheller's Works, no pub date give, c1903 by Lothrop Publishing Company. 411 pages, b&w frontis. w/tissue guard. - - Carefully packed and promptly shipped with tracking provided. Description: Unmarked pages with scattered foxing. Red cloth with gilt title and illustration. Binding intact, hinged front and back at split endpapers, and several other places, ffep loose. Corners and spine ends worn and soft. Garden City, NY: Doubleday, Page & Company, 1924. 102 pages of nursery rhymes, with orange and blue illustrations throughout. 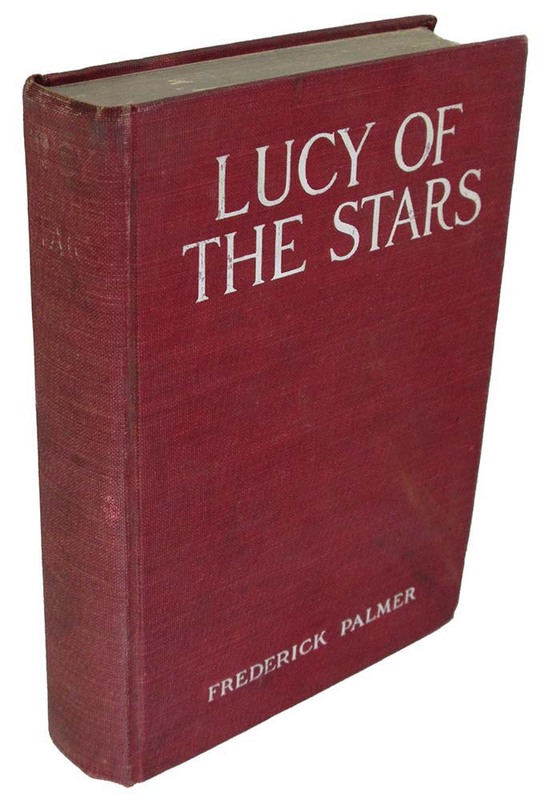 Stated First Edition with no additional printings indicated. - - Carefully packed and promptly shipped with tracking provided. Description: No marks. Reasonably clean hardcover in red cloth with black print and design to front cover and spine, no dustjacket. Square binding opens easily to title page, but still solid, corners and edges gently rubbed and bumped. Philadelphia: The Penn Publishing Company, 1924, c1904. 316 pages, b&w frontis. illustration by Isabel Lyndall. - from p. x of the Book Talk section of The Era Magazine, Feb 1904, "Mary A. Denison is the author of a sweet book for young girls, 'Her Secret.' It contains a fine character in Catherine Armitage, an orphan girl, who has a good musical education, and who works night and day to support her crippled brother, carefully guarding her secret that the millionaire's idolized daughter is their long lost baby sister. In the end the millionaire happily reunites the family." - - Carefully packed and promptly shipped with tracking provided. Description: No marks, front free endpaper torn out. Otherwise clean hardcover in brown cloth with gilt lettering and horizontal bars to the spine, top edge gilt. Light rub and bump to corners and spine ends, a few folded page corners, including a few that were folded at the publisher and hence not properly trimmed. Solid and square binding with a small partial split at the front hinge. No dustjacket. NY: F.M. Lupton Publishing Company, (1895). 376 pages plus 7 pp. ads. No date given, the F.M. Lupton Publishing Company moved to 72-76 Walker Street (as shown on the title page) in 1894, and out of that location in 1899. The address thus places this edition between 1894 and 1899. - - Carefully packed and promptly shipped with tracking provided. Description: Partial bookplate and previous owner info on front endpapers, no other markings. 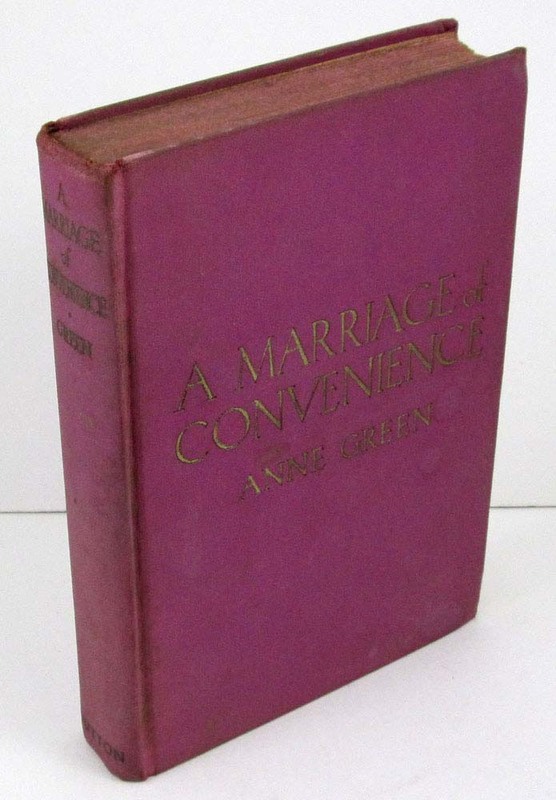 Red cloth with white print on front cover and spine. Binding square with no hinging and endpapers intact. Corners and spine ends are lightly worn and soft. Print on spine is worn, but bright on the front cover. NY: Charles Scribner's Sons, 1906. First Edition. 8vo, 344 pages plus 4 black & white illustration plates by Alonzo Kimball. - Author's first novel. Palmer was a war correspondent for 50 years beginning in 1897 and wrote three non-fiction books before this novel. - - Carefully packed and promptly shipped with tracking provided. Description: No marks inside or out. Green ribbed cloth with blind-stamped and gilt border and title on front cover. Gilt is dull on cover but legible and pretty much gone from the spine. Binding is square with no hinging and the corners are firm. Pages clean and bright with no foxing or tanning. Little rubbing wear, and some splotchy discoloration of the cloth. No dustjacket. NY: D. Appleton and Company, 1923. First Edition. - Thurston (1879-1933) was an Anglo-Irish poet, playwright and author. He wrote forty books from which seventeen motion pictures were made, and also authored theatrical plays, three of which were performed on Broadway and four were made into motion pictures. - - Carefully packed and promptly shipped with tracking provided.